Most crustaceans have a segmented body broken down into two areas which are the abdomen and cephalothorax. Crabs and the Cancer magister have a much reduced abdomen beneath the large cephalothorax. 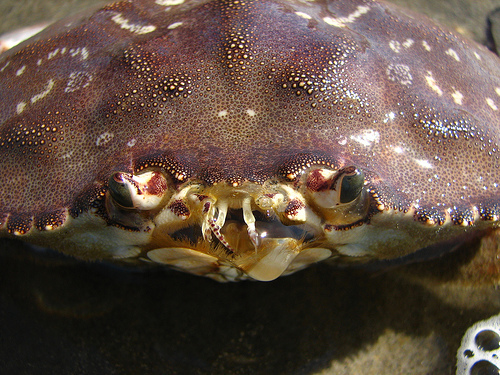 The reduction of the abdomen increases the crab’s center of gravity over the legs. This makes locomotion very easy and rapid allowing for quick and agile escapes from predators. 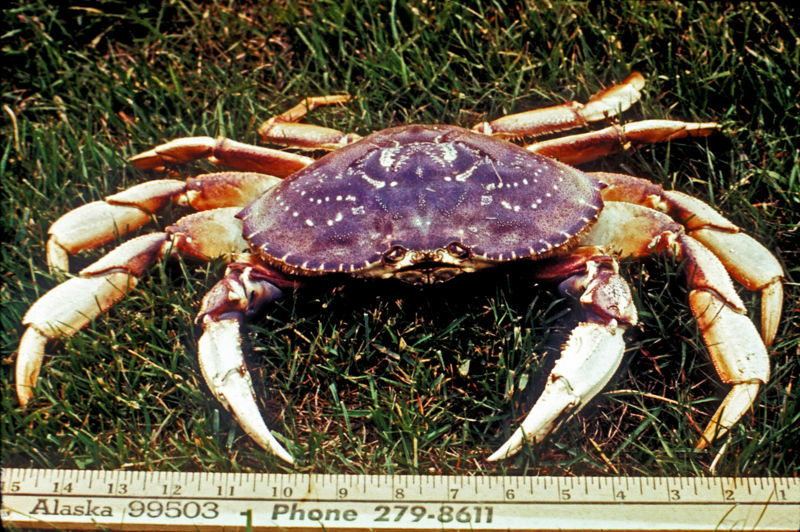 The Dungeness crab is a decapod and has ten legs. 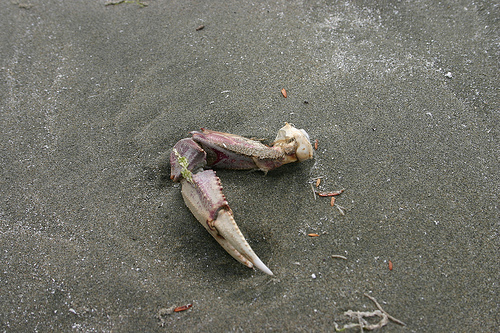 The chelipeds are the front two legs these are essential to the crab for defense and to use to catch prey items. These are commonly know as the pinchers or claws. The image above nicely illustrates the traits mentioned especially those chelipeds or pinchers!. The Cancer magister has two pairs of antennae. These are located at the mouth of the organism, and these allow it to sense and react to stimuli. The antennae also act as smelling receptors which detect chemical stimuli and allow the crab to find food. The crab is also covered with small bristles or hairs that react to different chemical stimuli and water currents. It also has compound eyes which allow for further advance reactions to stimuli. Limb Autotomy, self- amputation, is an adaptation of the Cancer magister. The purpose of autotomy is for escapes or defense against attacks. This is a unique quality that is currently being researched. Some research shows that concentrations of salinity may be a factor of how capable the crab is in being able to eject the limb. The Cancer magister can inhabit hypoxic areas, a hypoxic region being one with little to no oxygen. The Cancer magister can employ physiological mechanisms that allow it to survive for a period of time in hypoxic conditions. The data seems to show that the crabs prefer to feed in areas with high concentrations of oxygen and digest in areas with low concentrations of oxygen. This data leads to the conclusion that this may be a very important system which regulates their behavior and distribution throughout the environment. Next, lets explore the Reproduction of the Dungeness crab.